SMD capacitors are most widely used components (after smd resistors). Our customers faced problems lot of problems with procuring small quantity of SMD capacitors for testing/Research purpose. So we have have started keeping various values of SMD capacitors in various SMD packages. 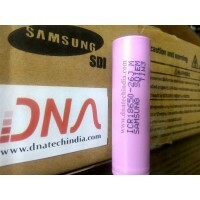 DNA Technology deals not only in retail but also in bulk quantity. So if you have bulk requirement drop us an email along with quantity and we will get back to you. 22pf 0603 SMD Package Capacitor Pack of 10This is a 22pf SMD Capacitor in 0603 package. It comes in ..
22pf 1206 SMD Package Capacitor Pack of 10This is a 22pf SMD Capacitor in 1206 package. It comes in ..
33pf 0603 SMD Package Capacitor Pack of 10This is a 33pf SMD Capacitor in 0603 package. It comes in ..
33pf 0805 SMD Package Capacitor Pack of 10This is a 33pf SMD Capacitor in 0805 package. It comes in ..